As your spring cleaning gets underway, you may complete some tasks out of habit, doing them the way you – or even your parents – have always done them. You might be making some mistakes, however, and not cleaning as efficiently as you could be. 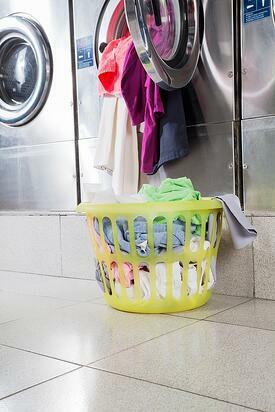 You may try to save time by doing a huge load of laundry at once, but you could end up with a load of dirty clothes and even a broken washer. Don’t fill your machine more than ¾ full of clothes, and make sure to put them in loosely rather than packing them in tightly. Otherwise, they may not get clean since they won’t be able to move around and be rinsed properly. Overfilling your washer can also cause damage to your agitator. You may be tempted to clean your windows when the sun is shining through them, highlighting every smudge and speck of dirt you want to clean. Doing so will cause them to streak, as the sun’s heat causes the them to dry too quickly. Instead, wait for a cloudy day, or pull your shades down on a day when you’re cleaning the inside of your windows. Shower doors are subject to an accumulation of dirt, grime, and soap scum, and you may be tempted to use a tough commercial cleaning product to try to get them clean. They’re likely to remain dirty and look streaked if you use a chemical-based product, so try white vinegar instead. It’s also better for your home and the environment than harsh chemicals. Chefs would never consider washing their knives in the dishwasher, because the detergent can dull their edges. If you want your knives to stay sharp and in good condition, take the time to wash them by hand in warm, soapy water. Dirt is easy to spot when it’s around eye level, but it can also accumulate high on ceilings, walls, or on ceiling fans. Use a sturdy step ladder to wipe down high surfaces so when you turn on your ceiling fan, you won’t be coating your home in dust. Don’t let your vacuum cleaner get too full before you empty it, or you could reduce your vacuum’s efficiency and suction power. Instead, empty the bag when it’s about 2/3 full so your vacuum works at peak efficiency. To make your home look even better, contact Polar Shades for a free in-home consultation. With hundreds of fabric options for interior and exterior shades they’ll enhance your home’s appearance in addition to helping block out the Las Vegas sun. Contact Polar Shades at 702-260-6110 today.